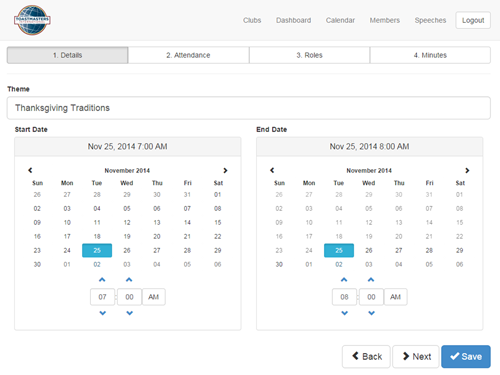 If you have mobile workers then give Clockwork a try. 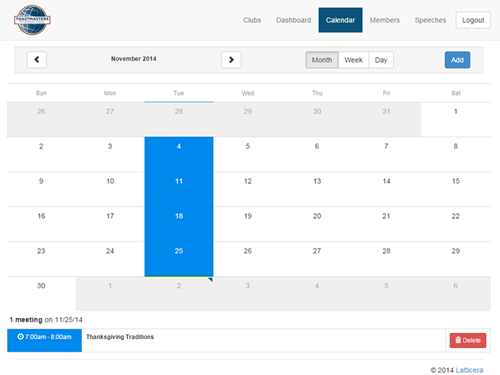 With Clockwork you can add employees/contractors, full-time/part-time and record their salaries or hourly pay. 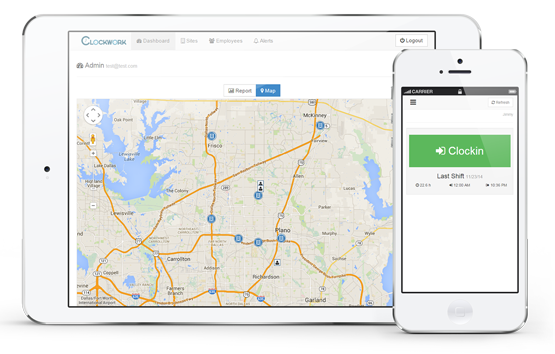 Your service sites can be configured and tracked on a dashboard map alongside workforce (equipped with mobile phones), for convenient monitoring and dispatching. 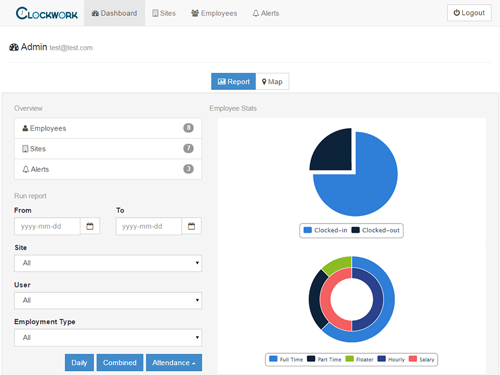 Dashboard reports display real-time employee stats and give access to reports that integrate with payroll and accounting software. 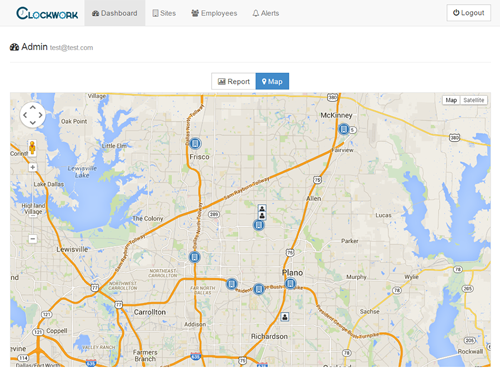 And you can run Clockwork from anywhere on dekstop or mobile devices. 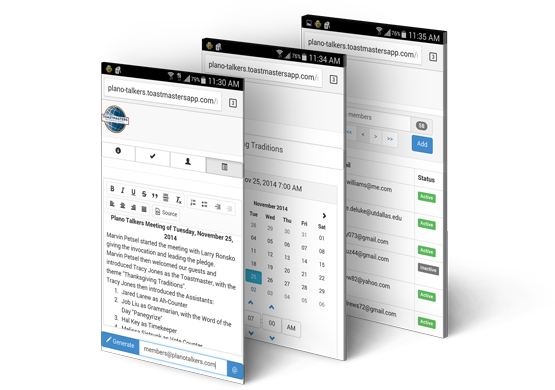 TM App is an example of business process automation, arised from the need to simplify and expedite tedious tasks like meeting minutes collection. TM App stores historical meeting records as well as club member project status. This allows for reporting educational achievements and club stats. 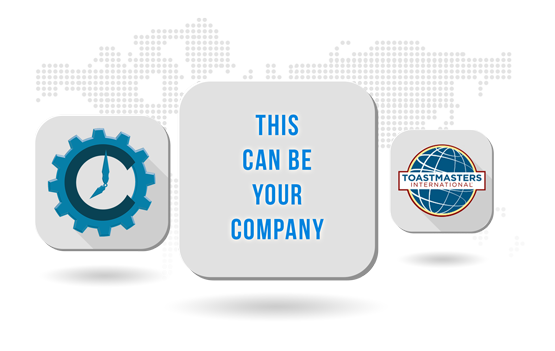 Club members can use TM App to plan their Toastmasters growth. It runs on any device, in the browser. Interested in an automation app? The world is turning mobile and you don't want to be tied to a desk either. If the applications you currently use are not supported on mobile devices then consider adopting new ones. Or, if you ask us to build an app for you then expect it to run on any device and make seamless the running of your business anytime, from anywhere.